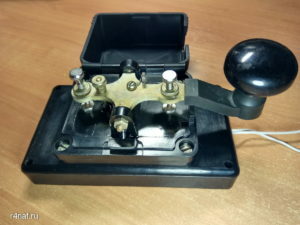 Telegraph key KM. 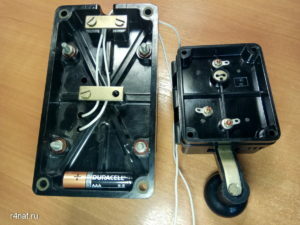 It was produced at the Cherkassy plant of telegraph equipment. 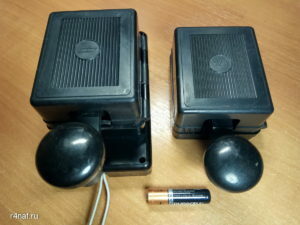 The case was made of bakelite or solid black plastic. The key is convenient to adjust. It is made soundly. 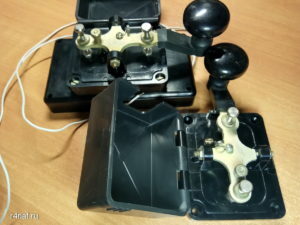 There are many such telegraph keys on offer, and you can easily buy them on the market. The casing of the telegraph key has 4 holes for fixing the key to the table.